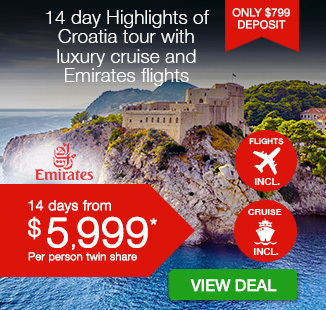 Including return Emirates flights, 10 nights' deluxe accommodation, delicious breakfast daily, private transfers throughout plus pre-booked catamaran tickets, the luxury of a small group tour, guided walking tours of Split and Dubrovnik and more. 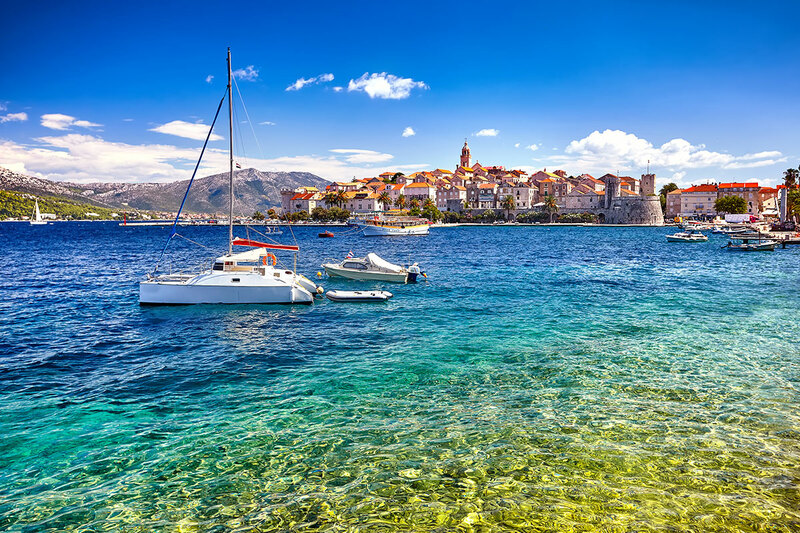 Get up close to Croatia’s world-renowned sites and awe-inspiring landscapes on a 13 day Best of Croatia tour that takes in everything from incredible national parks, to glittering coastal cities and natural wonders. 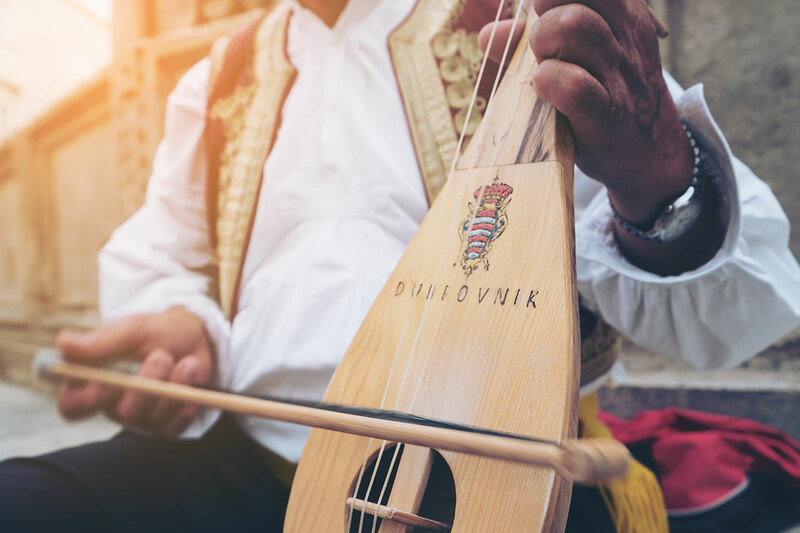 Use the Croatian capital as your launchpad for discovering this spectacular country. 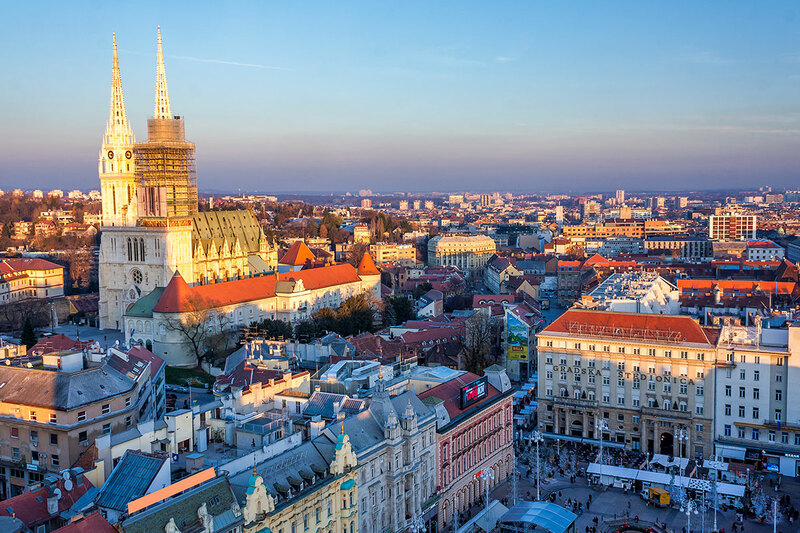 Although Zagreb is somewhat more compact than other European capitals, it certainly punches above its weight. Peppered throughout the city are Austro-Hungarian facades, pedestrian-friendly squares, romantic cobblestone streets and sites rich in history. Move around the city on foot, from neighbourhood to neighbourhood, or head to one of Zagreb’s galleries or museums for a culture fix. Leave the capital behind as the group travels towards the famed Dalmatian Coast; but not before a pitstop at the Plitvice Lakes National Park to admire its labyrinth of turquoise-hued lakes and waterfalls. 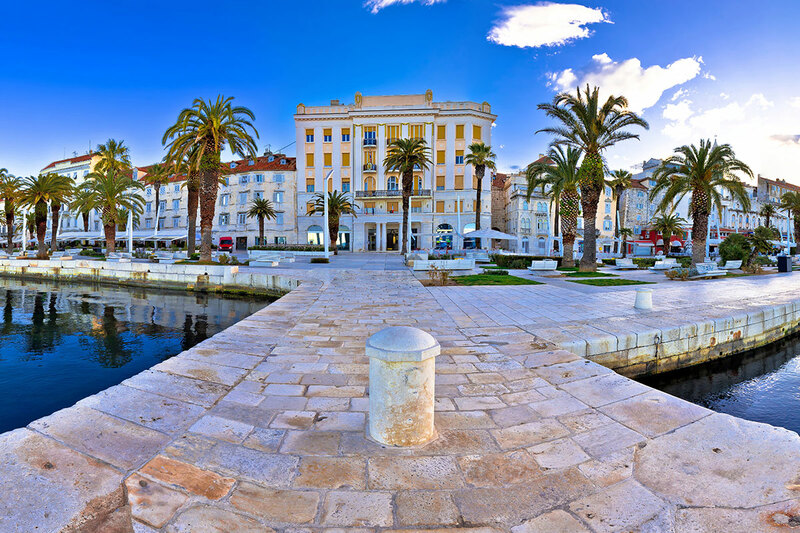 Soak up the architecture and fabled history of Split, Croatia’s second-largest city. 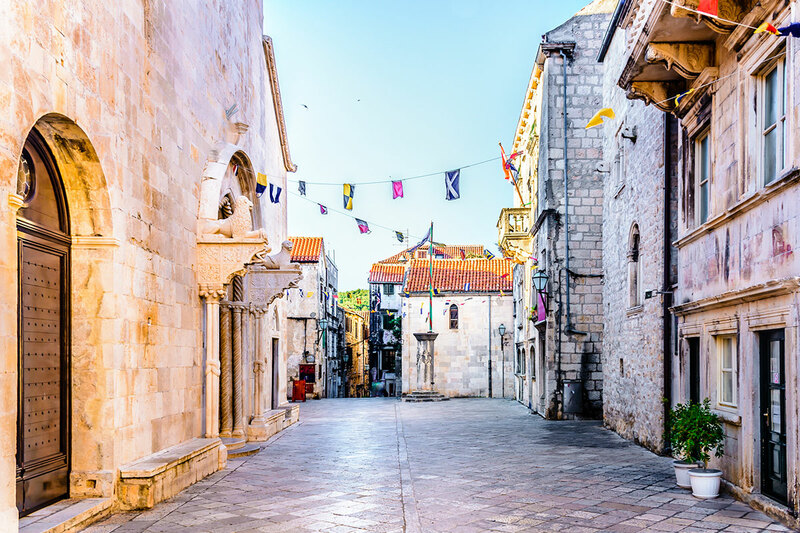 Wander around the streets contained inside the UNESCO World Heritage Site-listed Diocletian’s Palace or take a stroll along the marble-laid waterfront promenade before sitting down to a sundowner. 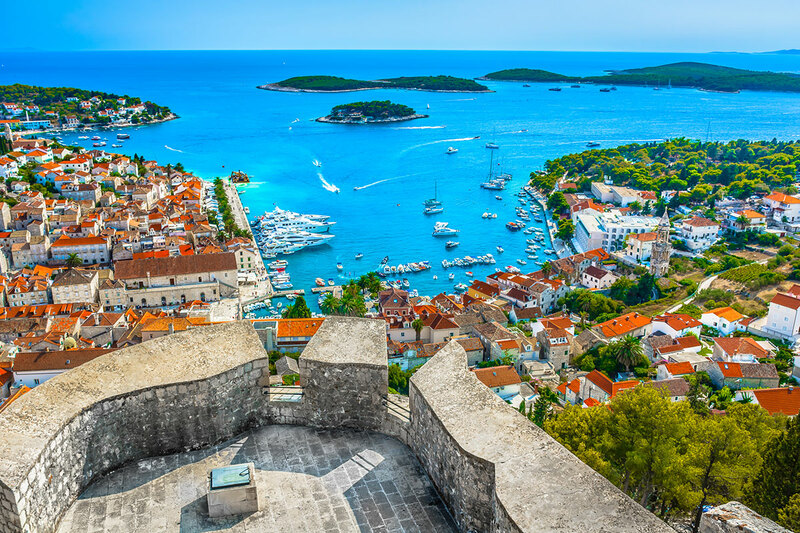 Step aboard a catamaran for a glamorous transfer to Hvar, one of the coast’s most sparkling and high-flying jetsetter-frequented isles. See the Old Town from the Starigrad Fortress or settle at a table at a quaint café or restaurant with a plate of local cuisine. Swap a catamaran for a speed boat for the trip to the Blue Cave on Vis. It won’t take long for you to understand how this cavern got its name once you witness the natural phenomena that illuminates the space with brilliant blue hues. Enjoy swim stops and a day of free time on Korcula, the birthplace of Marco Polo. Use this opportunity to discover more of the isle’s smaller fishing villages for a glimpse into local life. 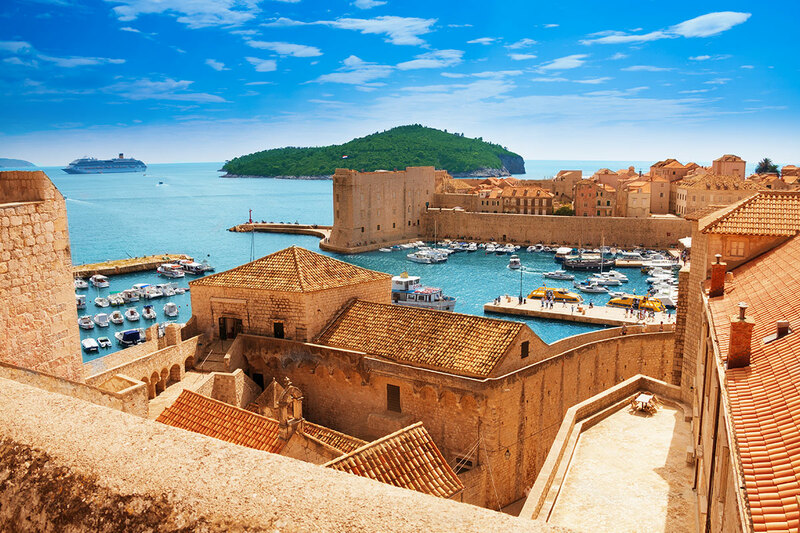 Dubrovnik makes a spectacular final destination for this tour and your arrival in the city dubbed the ‘Pearl of the Adriatic’ is not one you’ll soon forget. Take a stroll around the city’s iconic stone walls, explore the quiet back streets of the Old Town, or hike or take a cable car to the top of Srd Hill for mesmerising sunset views of the Elaphiti Islands and horizon beyond. 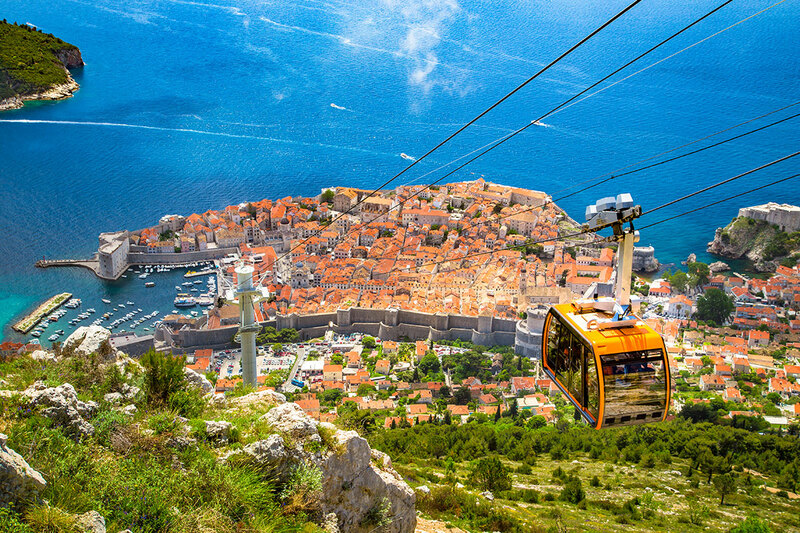 Board your flight for the picturesque capital of Croatia. You’ll be met upon arrival at the airport in Zagreb and be taken by private transfer to the hotel. 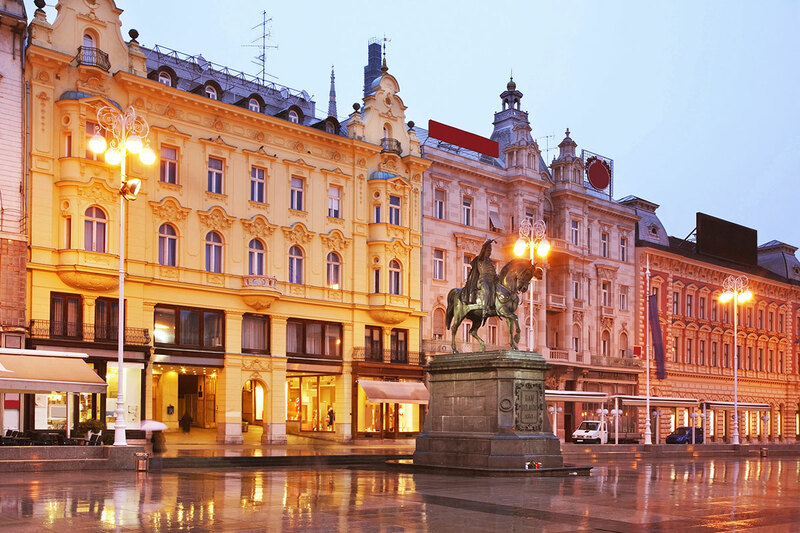 Zagreb is a vibrant city, brimming with art galleries, museums, restaurants and trendy cafes. Upon checking in to the hotel, choose to begin exploring the city’s beautiful green parks, streets lined with classic and Secessionist facades, promenades and Austro-Hungarian buildings. Though Zagreb may be small compared to other European capitals, it is packed with things to see and do. For those purchasing the Tour Only option, your tour starts today. Please make your own way to the hotel upon arrival in Zagreb. Make the most of a full day of exploring Zagreb. Uncover its small-town charm, old districts with cobblestone streets and gas lamp-lit squares. There is plenty of history to appreciate in the Upper Town area (its centre dates back to the 11th century). Culture-aficionados will perhaps want to visit one of the city’s museums, such as the Museum of Contemporary Art – or even the Museum of Broken Relationships. 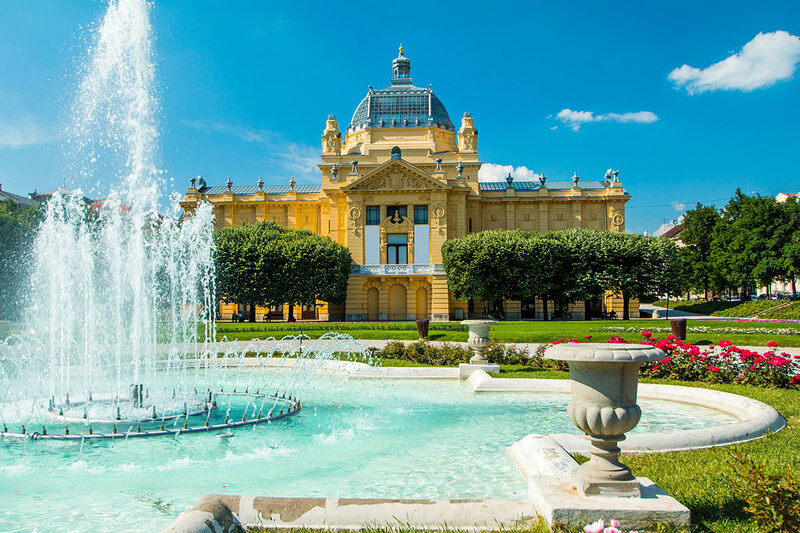 Head into Zagreb’s Lower Town to see the Viennese-influenced architecture, 19th-century pavilions and manicured gardens. Devotees of retail therapy can make a beeline for Ilica Street to make the most of its shops or sample bites of local cuisine at authentic eateries. 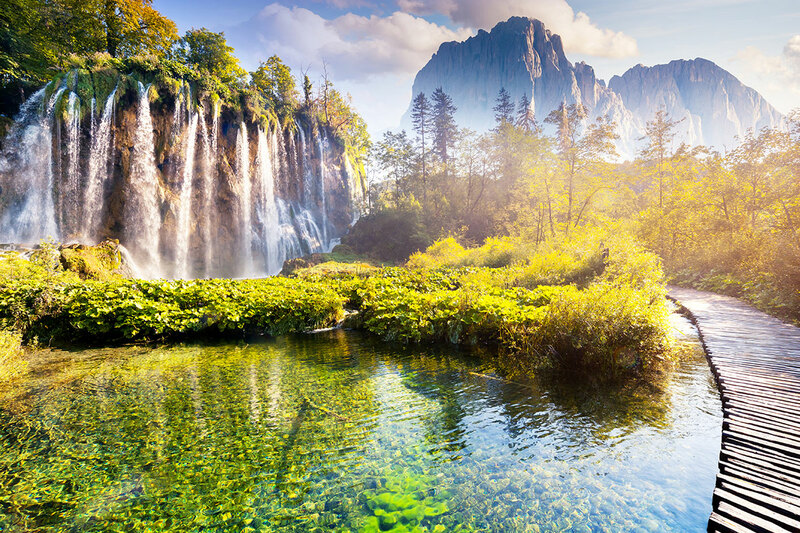 Today you’ll enjoy a group excursion to Croatia’s most famous and stunning national park. Enroute, you will stop at the Homeland War Memorial in Turanj where you’ll learn about one of the most prolific battles undertaken by the Croatian Army during the days of the Ottoman Empire. 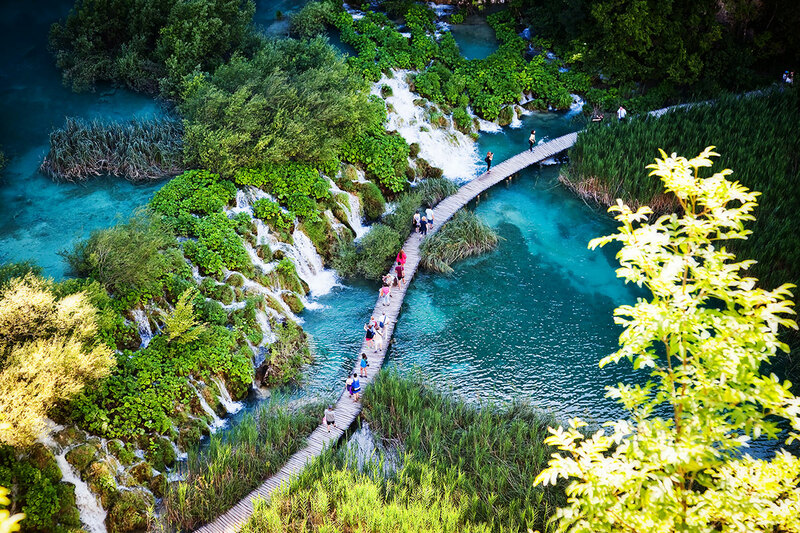 It is then onto Plitvice Lakes, one of Croatia’s most recognisable natural landmarks. This network of azure-hued lakes flow into one another from a series of cascading waterfalls – seen from winding wooden pathways and viewing platform. A local guide takes you around the park, pointing out native flora and fauna as you go, and taking you on a scenic boat and tram ride. The group then continues to Croatia’s second largest city, Split. Check in to your hotel and then head out to one of the local restaurants for dinner. 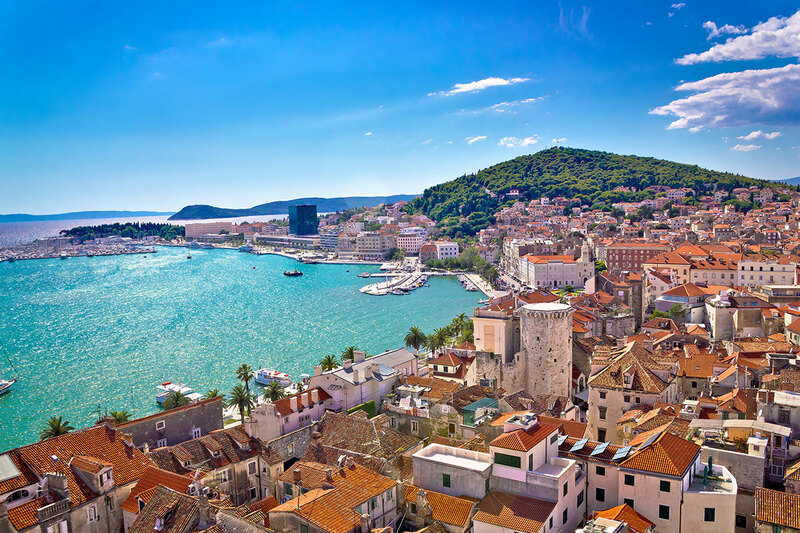 Situated on the Dalmatian coast, Split is best known for its stunning beaches, ornate architecture, and the magnificent UNESCO World Heritage Site-listed Diocletian’s Palace. Join a guided tour of the Old Town and enjoy a history lesson as you explore the sprawling remains of the 4th-century complex inside the Palace. Explore its white stone-walled courtyard, cathedral and cafes, bars, shops and restaurants. If you’re feeling energetic, hike up to the summit of the Marjan Hill for the most beautiful views of the Riva promenade and the Old Town. Alternatively, you will have ample time to explore the beautiful beaches in the area. Spend the evening strolling along the scenic Riva waterfront and enjoying delicious local cuisine; an excellent way to soak up the atmosphere and to admire the breathtaking sunset views of the Adriatic. Hop aboard a catamaran for the transfer to one of Croatia’s most glittering isles, Hvar. The island is peppered with sun-bleached white houses and is fringed by tranquil turquoise sea. It is a favourite destination among international jetsetters. For the best views of the town centre, hike to the top of the Starigrad Fortress. Or stay closer to town by simply strolling around Hvar’s pretty streets, ducking in and out of shops, boutiques, cafes and restaurants. A small group speed boat tour takes you to visit the Pakleni Islands and the magnificent Blue Cave today. The Blue Cave gets its name from a natural phenomenon, occurring when sunlight filters through the rock, hits the water and bounces off the sea bed floor. 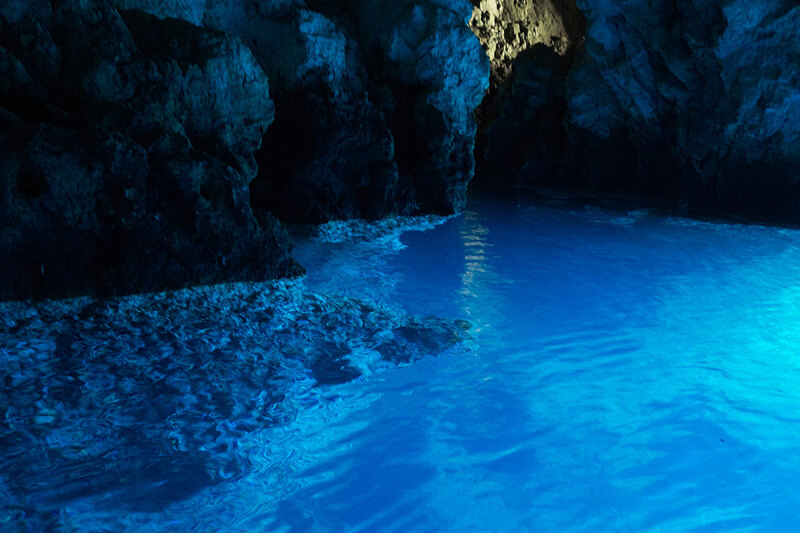 This produces a dazzling shade of blue that illuminates the cave; a sight that draws tourists in to this boat-only sight. The nearby Green Cave, Monk Cave and Stiniva Cove offer wonderful swimming opportunities and a chance to relax in spectacular natural scenery. Enjoy a refreshing and rejuvenating swim in peaceful crystal-clear waters or jump off cliff sides and snorkel to your heart’s content. Return to Hvar in the afternoon. A morning catamaran trip takes you from Hvar to the famous medieval island of Korcula, where a private transfer will show you to the hotel. You will have ample time to explore the Old Town, which has previously been ruled by Venetians, and was designed in the shape of a fishbone. This was done to prevent the strong winds from chilling the houses in winter and to increase the air circulation in the summer. The island is the birthplace of Marco Polo and you can visit his house and exhibition to learn more about his illustrious life. Korcula is a paradise for wine lovers and there is opportunity to sample some of the local specialities over a romantic dinner complete with water views and outlooks of the Peljesac Peninsula vineyards. Explore this fascinating island further, discovering more of the traditions of island life and meeting the friendly and welcoming locals. Some of the villages on the island have been untouched for centuries. If you travel over to the west side of the island, you will find the delightful small town of Vela Luka. This town is home to the Vela Spila cave, known for its medical mud deposits and springs of healthy mineral water. The island as a whole is rich with olive groves, vineyards and charming fishing villages. 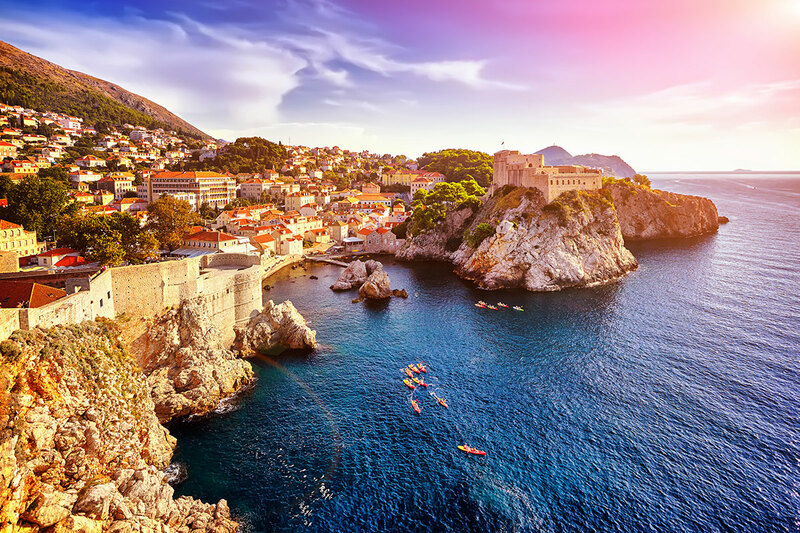 A high-speed morning catamaran journey transports you to the ‘Pearl of the Adriatic’, the beloved city of Dubrovnik. After checking into your hotel, take a meander around the elegant streets of the Old Town, with its impressive city walls, palaces, churches and villas. As one of the most beautiful UNESCO World Heritage Site-listed cities in the world, Dubrovnik is brimming with marble streetscapes and imposing medieval architecture. At night, enjoy a delicious meal from one of the rooftop restaurants as you admire another panoramic sunset over the Adriatic. You will join a guided tour of the Old Town and see some of the filming locations made even more famous in Game of Thrones. 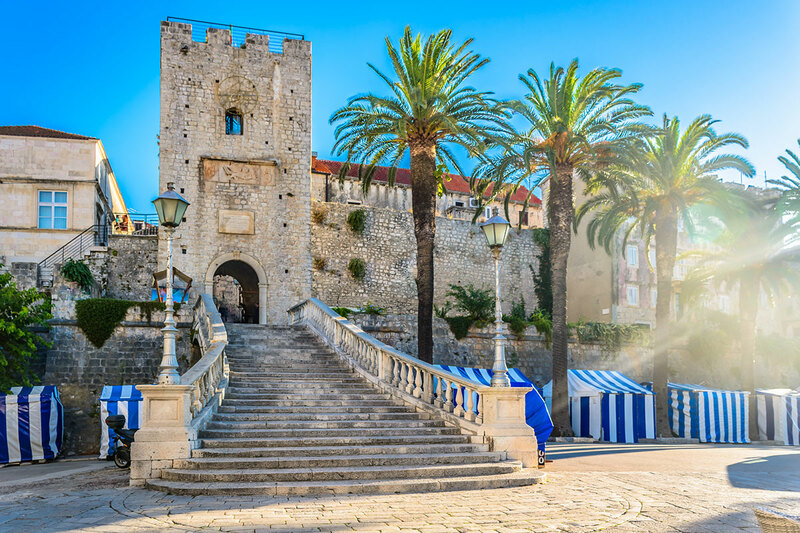 The historic medieval city boasts protective defensive walls, majestic palaces and ornate churches, and wherever you look you will discover a unique magical charm and magnificent architecture. In the early evening, why not take a trip on the Srd Hill cable car to experience breathtaking views of the Old Town and Elaphiti Islands and sip on a cocktail while gazing at the mesmerising sunset. Alternatively, if you’re feeling adventurous, go on a sea kayaking adventure where you paddle out to a selection of hidden beaches and coves accessible only by kayak. You can also paddle along the imposing city walls. A private transfer takes you from your hotel to Dubrovnik airport, where you will board your return flight to Australia. Documentation: Documentation will be provided after final payment is complete and within 30 days of travel, including E-Ticket instructions, hotel confirmation, itinerary extension and optional tour confirmation (where applicable) and destination travel tips. Group Sizes: Minimum 2 people. Please note this is an independent tour, and as such, you will enjoy the company of fellow travellers at sightseeing locations. Please purchase one twin share voucher and then purchase your single supplement by clicking here. Tour Only: Navigate to the yellow “Tour Only” button and select “Book Now” to view live availability. 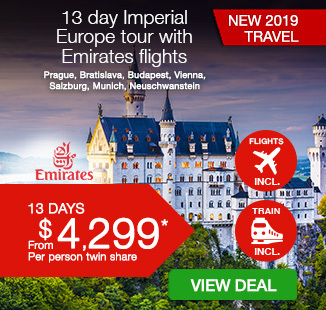 Note, Tour Only option does not include return international flights and airport transfers and commences on Day 2 of the flight-inclusive itinerary. Travellers are required to make their own way to the hotel on Day 2. Driver/Guide: approx. 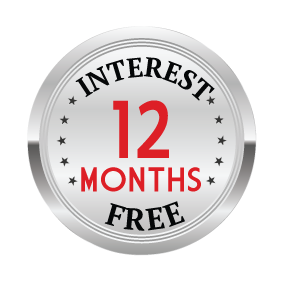 AUD $5-10 per person, per day is the industry standard. Health: Different levels of travel involve varying degrees of activity and we recommend a good level of fitness and health in order to fully experience the package and optional tours purchased, including site-seeing by foot, climbing of stairs and extended day touring. It remains each passenger’s responsibility to inform Webjet Exclusives of any health or mobility issues that may impact the running of the tour, both for the safety of the passenger concerned and for other travellers in the group. Peak season surcharge will apply to some travel date, please refer to the calendar for more details. Tour Only option – Navigate to the Fine Print tab and proceed to “click here” for Tour Only option to view live availability. Note, Tour Only option commences on Day 2 of the flight-inclusive itinerary. Full names (First, Middle and Surname) as per passport must be provided at the time of booking. Names cannot be changed once booked. If we can accommodate your request at no additional cost flight tickets will be issued as per the request on the booking form and acknowledgement will be sent via email.